A fireplace that sets itself apart – hand polished cast metal surfaces, intricate detail and many more little quirks make these Pureglow insets a tempting prospect indeed. 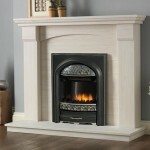 Their electric inset fireplaces are fine examples of the appliance, combining great style choices with quality manufacturing in a compact package. Choose from the bold Carmen, or the curvy Juliet. They are available to view on-line, or for a more intimate look at how they work, both can also be seen in our Birmingham based showroom. 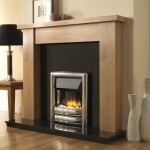 Our expert staff task themselves with making sure you leave with nothing short of the best fireplace you could possibly want.